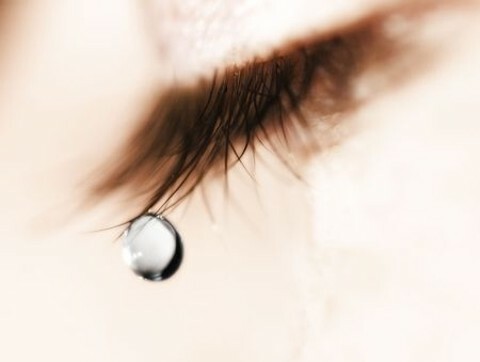 What Does the Bible Say About Crying and Tears? Just as we sometimes laugh out loud, we must also cry out loud. We live in a fallen world where there is much to cry about—death, loss, disappointment. Sometimes we must cry as the only available emotional response in a situation. Those who resist their urge to cry will many times bring on themselves serious emotional and mental health issues. However those who accept it as a part of life will often find themselves refreshed and restored after a time of tears. Just as there is a time to cry—there is a time to stop crying. We don’t grieve and weep as those in the world because we have a hope within through the presence of the Holy Spirit. He beckons us to weep when necessary, but to also wipe our faces and move forward in the faith. We rejoice even in our times of mourning because we know that our Lord is in control and making all things work together for our good. Many of us cry in secret and have rarely let others witness our tears. Sometimes that’s necessary when we are in positions of authority and need to keep it together for those who follow after us. Yet the Lord sees our secret tears and He knows our pain. Our Father isn’t aloof and cold, but rather He’s there with us in the gut-retching cries that translate to Him our needs and desires. “There will be weeping there, and gnashing of teeth, when you see Abraham, Isaac and Jacob and all the prophets in the kingdom of God, but you yourselves thrown out” (Luke 13:28). It’s hard to even imagine the incredible weeping and tears that will be present at the white throne judgment. These people will remember the moments that the Holy Spirit compelled their hearts to surrender to God and yet they resisted. They will know in that moment that there is no turning back the hands of time. This weeping and regret will last throughout eternity—a grievous affair for the unbelievers. “When Jesus saw her weeping, and the Jews who had come along with her also weeping, he was deeply moved in spirit and troubled…Jesus wept” (John 11:33, 35). Our Lord was all God and man—feeling the emotions of sadness from the perspective of humanity and also the cry of Deity for all people to turn away from sin. When Jesus wept the crowd around Him remarked on His love for Lazarus. Yet it was when Jesus saw the agony of those He loved—He was troubled in His Spirit. He responded with tears just as any one of us would do when we see the broken hearts of those we love. He weeps with us. Because we are surrounded by pain and sorrow, it can be difficult for us to believe that we will one day never cry again. The Lord has prepared a place for those who are His where there will never be sorrow nor mourning. It will be a place of everlasting joy and happiness. We will not miss tears or crying. There will be no need of it because we will enjoy His presence forever. Every time we cry—our Savior collects our tears and remembers. There are no wasted tears for those who put their trust in God. He allows us to cry out to Him so that we can know His presence of peace in the midst of confusion and difficulty. We must cry in faith and not despair so that our hearts can be made whole in Him. Yesterday, I sat by my grandmother’s burial site as I prayed and cried to my Lord…giving Him thanks for allowing my grandmother to be my spiritual rock….. Out of nowhere a drop landed in the middle of my forehead. I stood up, looked around, and there was nothing that I could pin point where that drop came from. Then, my spirit told me that it came from the Heavens. I know my Lord is with me. Prayers needed. How wonderfully comforting and how blessed we are in our precious Lord and Saviour our Lord Jesus Christ that NOTHING goes un-noticed by Him, not even our tear drops. PRAISE YOU LORD GOD FATHER ALMIGHTY….!!! Are you ok brother? You know, your name is my brothers name. My big brother. He is so special to me. Except the last name. Happy New Year too brother! Being one of so many who suffer from daily chronic pain from Fibromyalgia, Irritable Bowel Syndrome, Arthritis, and Migraines I often cry tears to let out the stress, discouragement, and sense of loss. But then when I spend time with the Lord in prayer and in His word He reminds me of His love. It is and will always be my hope and prayer that He uses my life just as it is to bring hope and encouragement to others. There is always a way to serve our loving Lord. He uses me in the card ministry for our church. I pray He will never stop using me for His glory.